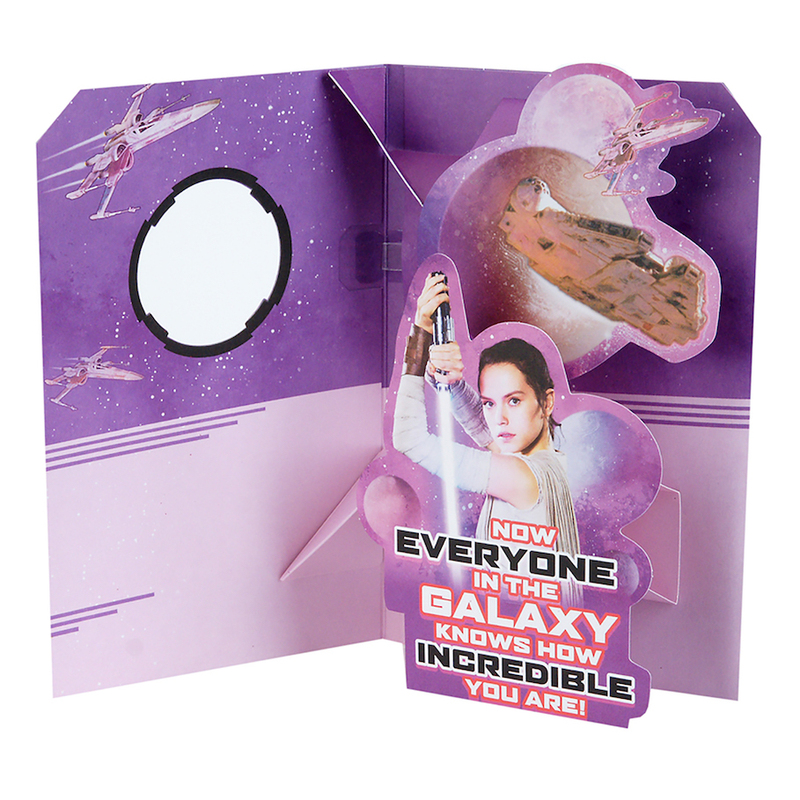 New Last Jedi Rey and BB-8 Valentine's Day Pop-Up Card now available! 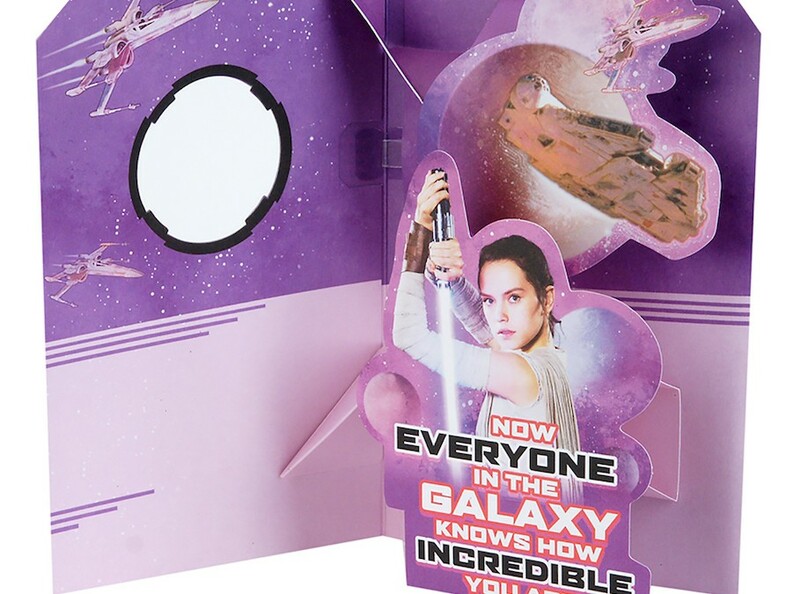 New Last Jedi Rey and BB-8 Valentine’s Day Pop-Up Card now available! 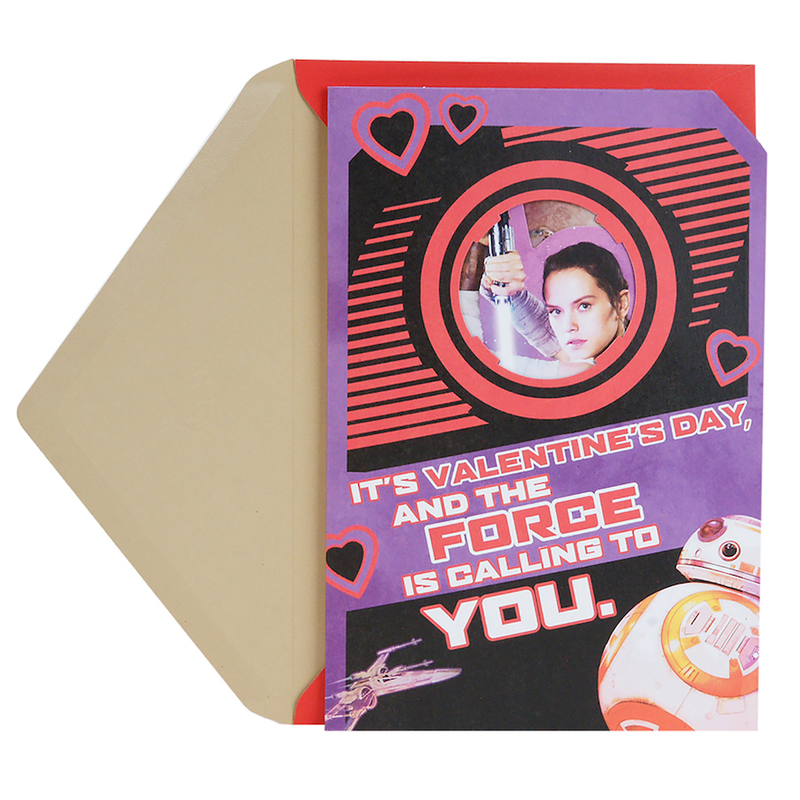 With Valentine’s day coming up here’s something you can give to that special someone, a Rey and BB-8 Valentine’s Day pop-up card in stock on Walmart.com! This card costs $7 and shipping is free. Wish a loved one an out of this world Valentine’s Day with an exciting Star Wars Valentine’s Day card. With a sincere message and fun design featuring a cool 3-D pop-up, there’s plenty of room to write your own note inside to one of your favorite kids. Whether you’ll be together or apart on February 14th, friends and family are sure to appreciate a valentine from you as they celebrate the ones they love the most. Share your love with your son, daughter, or any other great kid who loves Star Wars with a Valentine’s Day card made especially for them. 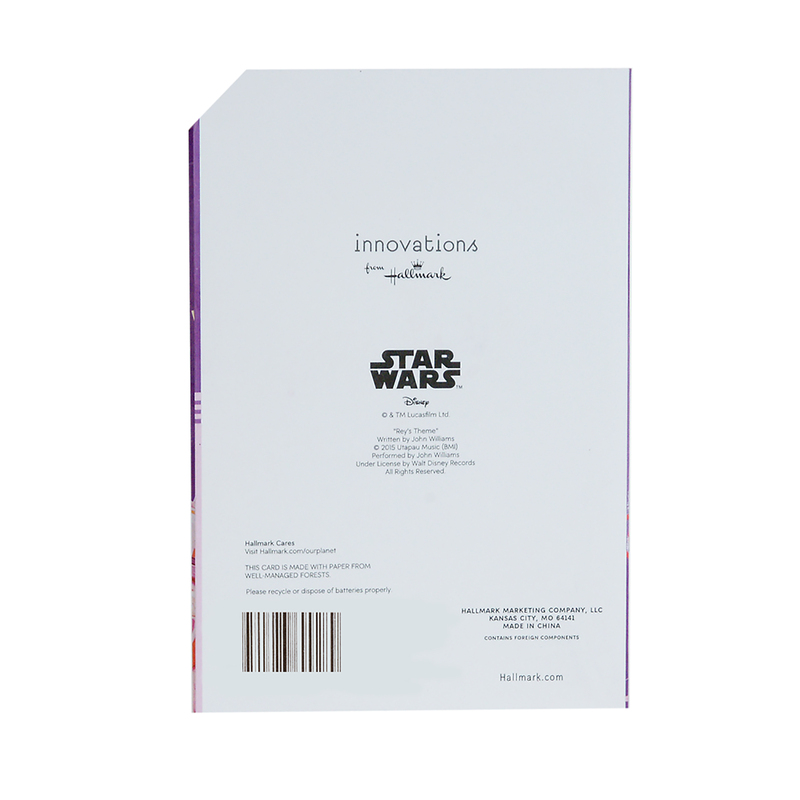 With a kid-friendly design and awesome surprise 3D pop-up inside, this card is a memorable way to wish Star Wars fans a happy Valentine’s Day. Valentine’s Day card measures 5.8″ x 8.3″ and comes with a coordinating envelope. Printed on high quality paper stock, Hallmark’s eco-friendly greeting cards are made with paper from well-managed forests.